The largest music & Halloween-themed festival in the Southeast region returns to Miami for its second turn in 2017. 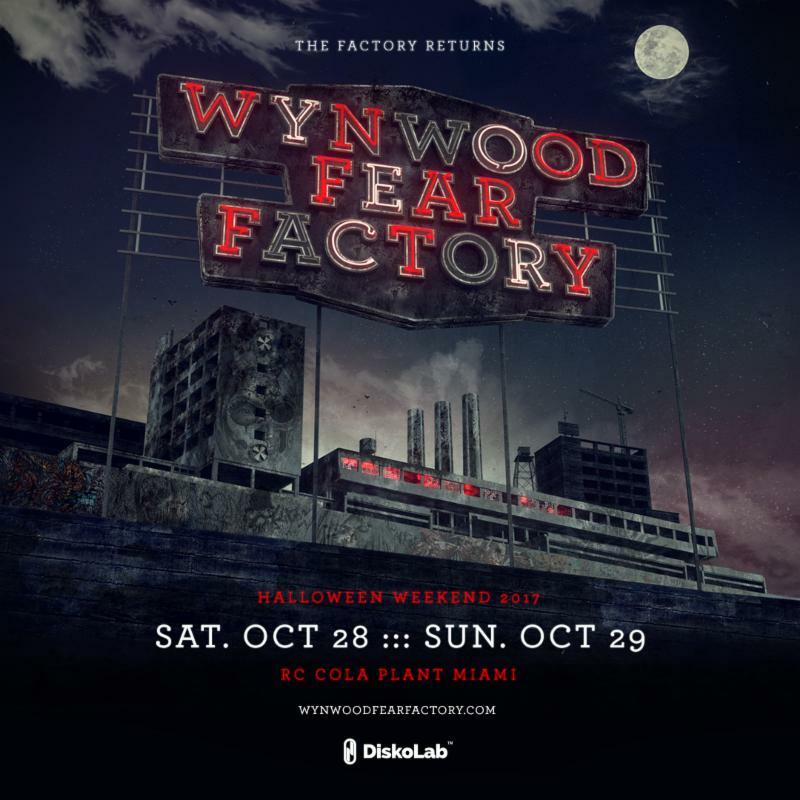 Presented by DiskoLab, WYNWOOD FEAR FACTORY is set for Saturday, October 28 and Sunday, October 29. 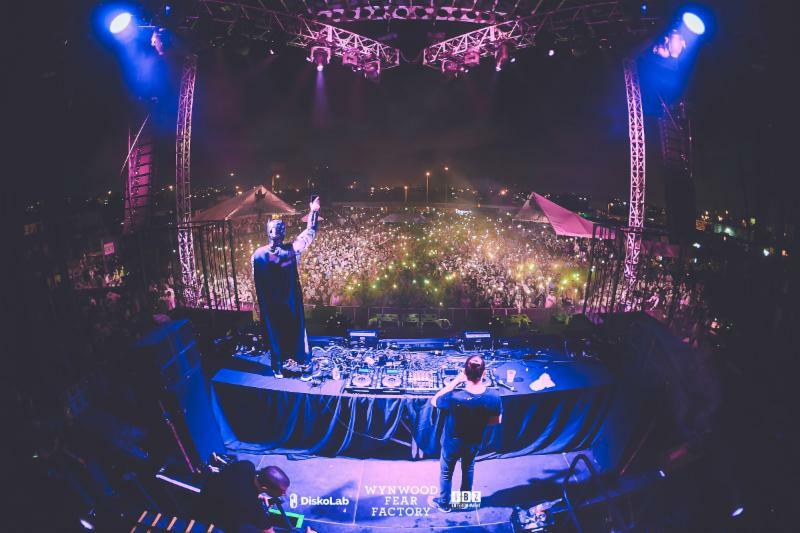 WYNWOOD FEAR FACTORY was a wildly popular event when it debuted in 2016 with performers Armin van Buuren, Dimitri Vegas & Like Mike, Flosstradamus, Adventure Club, Borgore and Oliver Heldens, reaching an attendance of 10,000 revelers over the weekend. Look for its second edition to happen with an even bigger lineup and enhanced production along with multiple new features such as haunted attractions, entertainment, performers, art installations and popular food vendors. The event’s line-up will be announced very soon. The two-day seasonal extravaganza will take place at the “abandoned” old RC Cola Plant, located in Miami’s Wynwood Art District–the trendiest neighborhood in the city showcasing art galleries, restaurants/nightlife spots and some of the best street art. Miami event promoter DiskoLab has also produced sold out events at this venue with Above & Beyond, Eric Prydz and Steve Aoki for his Dim Mak Miami Takeover during Miami Music Week 2017.